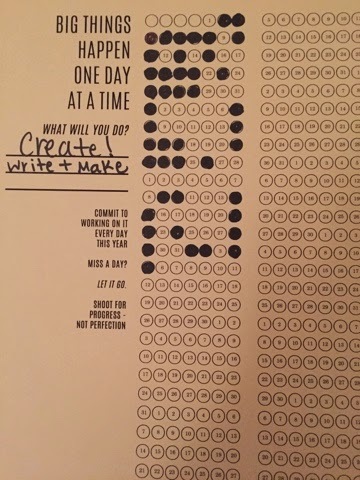 This year, instead of setting resolutions, I joined Ali Edward's One Little Word© class. The word I chose is Strength. At the end of 2014, I was living at home in the Chicago suburbs and commuting every day downtown to a job that I wasn't in love with. I was also in a long-distance relationship with my boyfriend Matt. Last year was a huge transitional period for me as I graduated college and started my adult life, but I was still feeling very stuck and overall weak. I wanted to choose a word that would challenge me and get me out of the rut I was in. So how has this played out in my life thus far? In January, I joined an Orange Theory gym back in Naperville. I was excited to try out their workouts because they do a combination of strength, rowing, and running. I ended up going 2-3x a week and loving the trainers. I definitely saw a difference in feeling physically stronger. I love that they use heart rate monitors because it allows you to work out at your own pace and you get to see your changes over time. I also visited Matt during this time out in San Francisco. We spent a day hiking and talking and decided that we want to start to look for jobs together on the East coast. We knew that it would be a long process, but would be the next step in our relationship. Immediately after this trip, I was contacted about a job opportunity on the West coast (yes, the opposite of our decision). It was for a health company and would involve social media, blogging, and writing in a start-up atmosphere. I started learning more about the company and interviewing for the job. 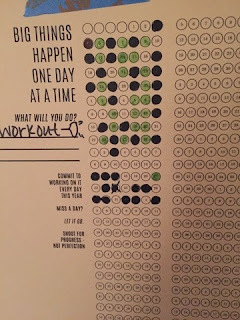 I tracked my goals of creating and working out with this goal tracker from Elise Joy. At the beginning of February I was offered the job and I accepted. I resigned and worked with my current company to transition out of my position. 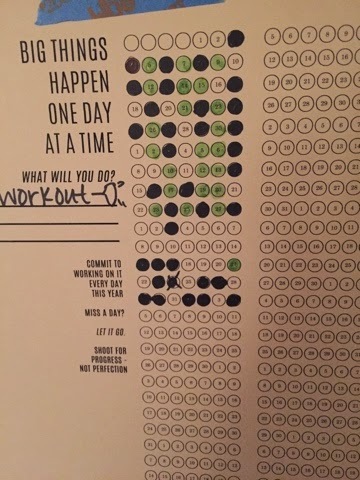 I was able to keep up my workouts, which were a great stress relief. Outside of work I was packing and saying lots of goodbyes. I also bought a car, found an apartment and had we had to put down my childhood cat. Can you say emotional roller coaster? I used the Calm app to meditate everyday and keep myself mentally strong. I also received my Young Living Starter kit and started using essential oils to successfully fight a cold and relax before bed. 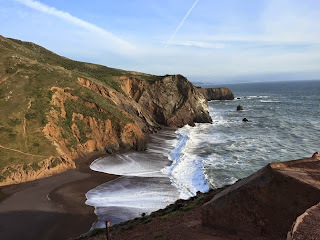 The first week of March I spent road tripping out to California. My mom and I had a busy 3 days getting my apartment together before I started work. So far I'm really enjoying my new job and my diverse team. I've also been learning a ton about our health products and trying out lots of different types of workouts. I also work yoga into my routine to stay balanced and calm. Matt and I are still a few hours apart, but we get to see each other on the weekends. 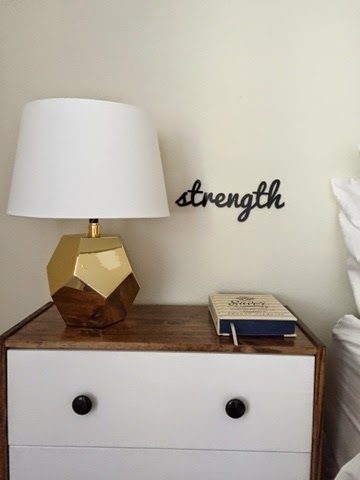 We've had a great time working on my apartment and exploring my new town. I'm so happy to get to spend time with my best friend again. Since I've been out here, I've been checking out churches and spending time on my commute with God. So far I've met some other people out here that are interested in finding a church and its been such a blessing. Through this process I found a great pen pal and we've been keeping in touch about our words. I'm so surprised how much has changed in the past few months. I wanted to work on this word in my life and so far it has been working on me. I've seen some big changes and I'm coming out stronger every week. I know there will be ups and downs, but I've to come to appreciate that all of it shapes me. 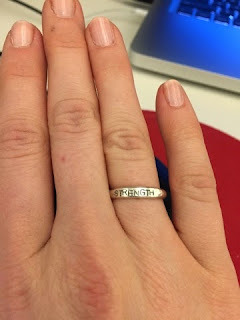 My pen pal sent me a great quote recently, "Strength doesn't come from what you can do. It comes from overcoming the things you once thought you couldn't." I'm excited to see how this year pans out.